Recently we went to Chicago for ChiTag, the Chicago Toy and Game Fair. We had so much fun! One of the very first booths I visited was that of the Pocket Fuzzies! They are adorable. They are not only cute, they are educational. Each one is an animal that actually exists, like a Binturong, Linsang or Tarsier. Look how cute their mascot the Tarsier at ChiTag looked! Then I received my cute little Siau Island Tarsier. He came in a special bag. He rides in his special little pouch that has a loop on the back so he can hang on a hook. His pouch is soft, just like he is. He has huge, green eyes and a cute little nose. The tag attached to his ear tells a little bit about a Siau Island Tarsier, where they are from, what they eat and their size. Included is a little fact, like that Tarsiers can turn their heads 180 degrees. Wouldn't you love one of these little guys? I am sure I know several children who would love to find one of these adorable animals as a gift. Imagine their faces! The Tarsier comes with a pocket and a booklet and the price is $12.00 + shipping. 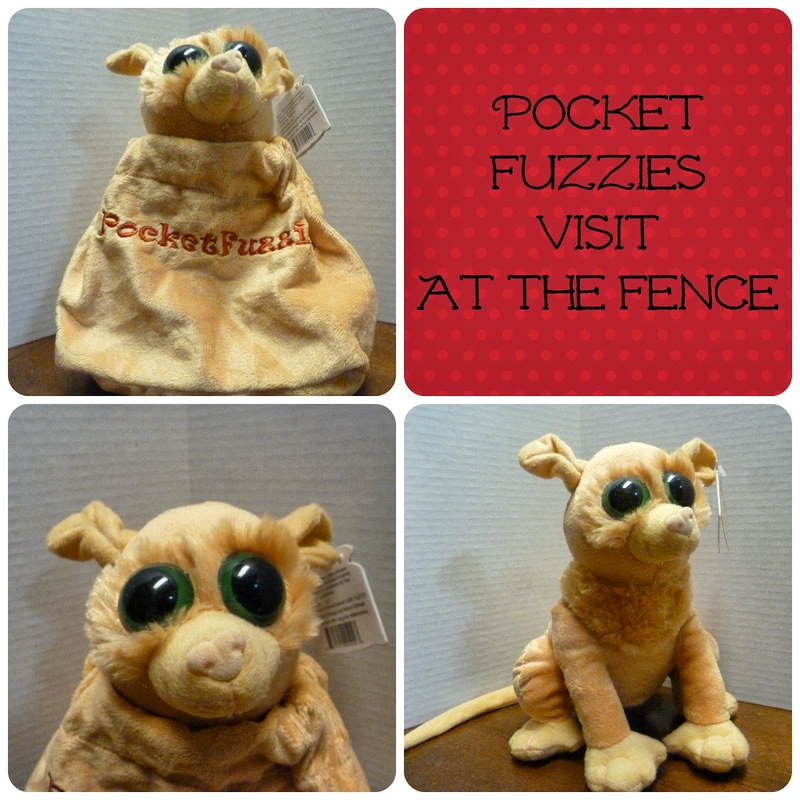 The other 4 animals only come with a pocket and the price for each is $11.00 + shipping. 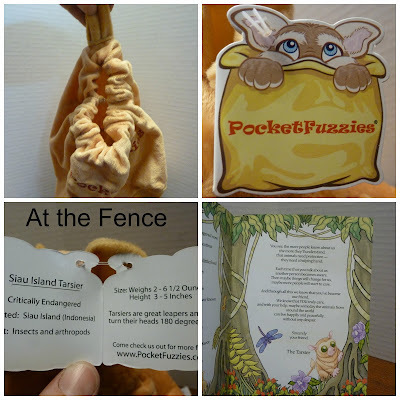 Be sure to follow Pocket Fuzzies on their Twitter page HERE. Give them a tweet and tell them you found them At the Fence! Haha, my daughter would love one of these! The bag is super cute too. These are to cute. I want one. You need to talk them into doing a giveaway. These are just adorable! My niece & nephews would love these. They are really priced reasonably! Thanks for sharing these.